The owner Sue died in February, so it may have taken this long for estate matters to be settled. 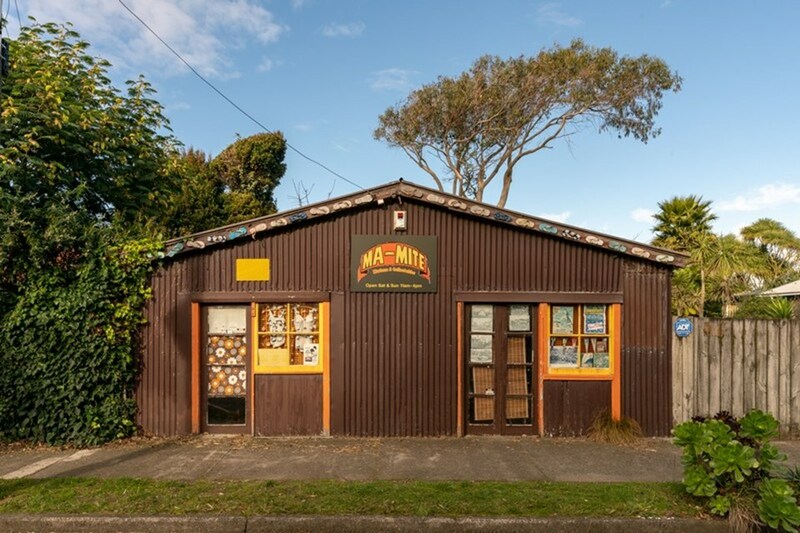 At the time we expressed the hope that this Kiwiana shop would continue. The property, however, doesn’t just consist of the shop, but also a beach house designed by architect Jim Beard and more. Della Randall’s effusive description is below and her webpage with full details is here. You’ll love the polished concrete floors, well-appointed galley kitchen, vaulted ceiling with exposed rafters and stunning bathroom with mosaic tiles. A versatile mezzanine and a seamless indoor-outdoor flow to a private deck and flat lawn with a big leafy gum tree for summer shade. Across the road from the tennis courts, mere metres from the shops and cafes, and only moments from the beach, this captivating collector’s piece offers the ultimate location for leisure or pleasure!